HD Recording · DDD · Duration: 7 Min. 27 Sec. he Wolfgang Bauer Consort was founded in 1994. Its primary occupation is the performance of authentic Baroque chamber music pieces. The English Baroque term "Consort" accurately describes an ensemble comprising one or two soloists and a continuo of cello and harpsichord. 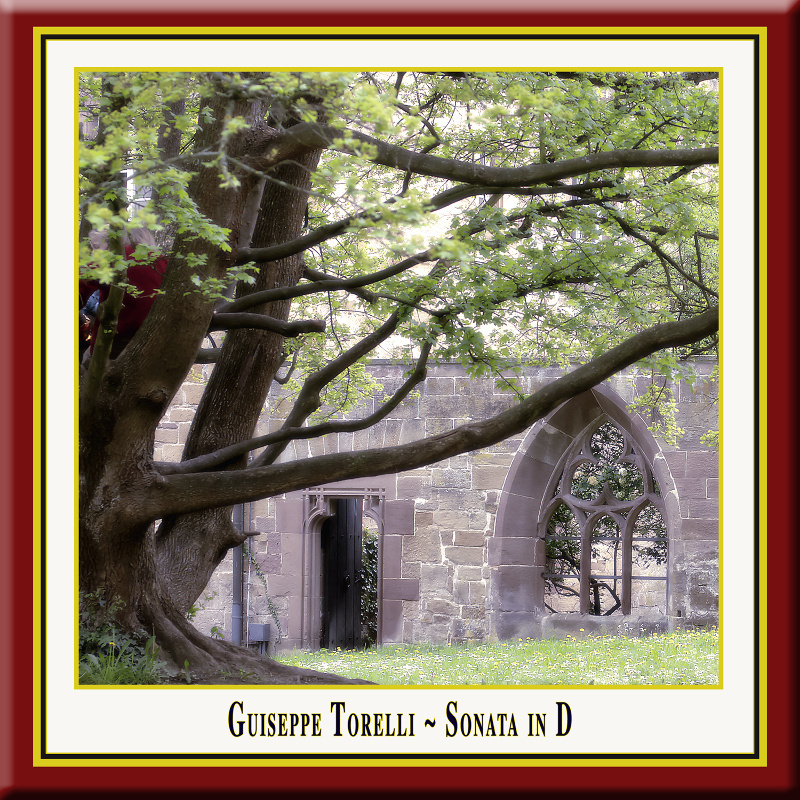 The Consort's open structure provides the fundament for the comprehensive array and musical diversity of this performance in the monastery church, whose outstanding acoustics and atmosphere are able to document the complete range of Baroque virtuosity. An addition is the Sanssouci Trio, a work written by Bernhard Krol especially for the Wolfgang Bauer Consort. The piece underlines the flexibility and power of musical expression of this traditional ensemble in many genres, up to and including contemporary compositions. Wolfgang Bauer, the winner of, among others, the Munich ARD competition, is one of the leading international trumpet soloists. He is a professor at the Stuttgart University of Music and Performing Arts and has had consecutive engagements as solo trumpeter with the Munich Philharmoniker, the Frankfurt Radio Symphony Orchestra and Bavarian Radio's Symphony Orchestra. Together with the basso continuo (figured bass), Thomas Strauss on harpsichord and Clemens Weigel on cello, the three form the basis of the Consort who are joined by two or three high strings, depending on the piece. Sebastian Hamann, the first concert master of the Frankfurt Opera and professor in Lucern has performed as soloist with, among others, the Opéra de la Bastille and the Cologne Philharmonic Orchestra. He can be heard here as first violin and as soloist on Johann Sebastian Bach's Sonata no. 3. Ingrid Albert from the Frankfurt Radio Symphony Orchestra on the viola and the violinists Verena Sommer, Gerhard Urban with Thomas Jauch, the solo contrabassist for the Bavarian State Opera, Munich, round off, depending on the piece, the needs of the string section. Ingo Goritzki, professor at the Stuttgart Conservatory and soloist with many orchestras and chamber music ensembles such as Villa Musica and the Stuttgarter Bläserakademie, can be heard here as oboe soloist on the Bach Concert in A Major. The multiaward winning flautist, Heidrun Laukemann, performed regularly for four years with the German Symphony Orchestra. Today, she is a freelance teacher and performer.